Aaaand here it goes again! Me and Luka have been invited to China, and it's time again for first fitness expo of this year – let's get it started! We had connected flight through Moscow and it took us 15 hours to get to Shanghai airport. We thought it would be warmer than here in Slovenia, but actually we came into freezing city, luckily we had winter jackets with us. 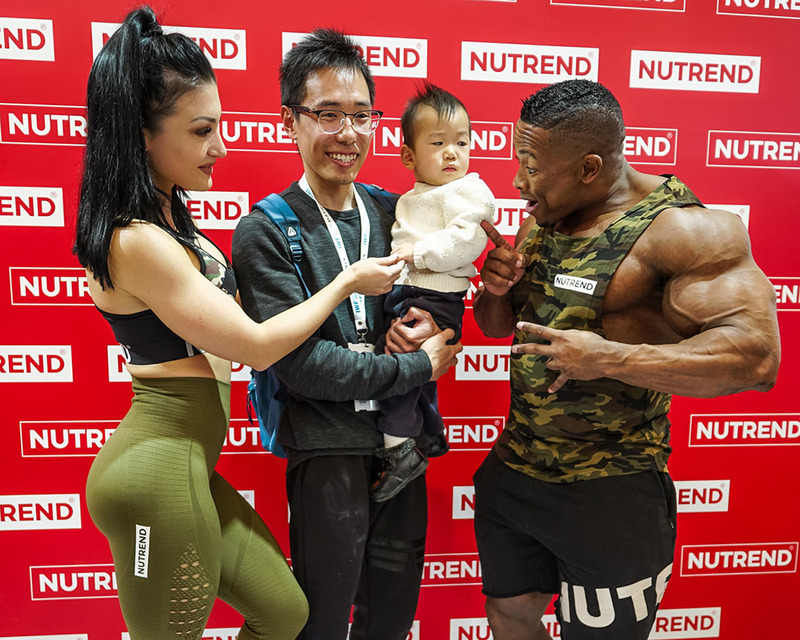 There were 3 chinese girls from Nutrend China waiting for us, and they really got excited to see us. When we were driving to hotel, they started to interviewing me with camera, already in the car. Some basic informations about my competitions, lifestyle, supplements I use etc. When we got to the hotel, we finished second part of interview and then finally got into the hotel room to chill a bit. We were tired from not sleeping at all, and time difference between Ljubljana and Shanghai is 7 hours, so we had to get used to that. After one hour we went to city center and we were excited to feel the vibe there again. It's a very big city with lots of big buildings and some of old ones as well. After some sightseeing we went back to hotel to get enough sleep for the next day. It took us around more than hour and a half to get to veeery big exhibition center there in Shangai, because our ride accidentally took wrong way to get there, and since the traffic in Shanghai is so crowded it took us even longer to get there. If we would need 10 minutes here in Slovenia for that trip, in Shanghai you would probably need more than a hour? 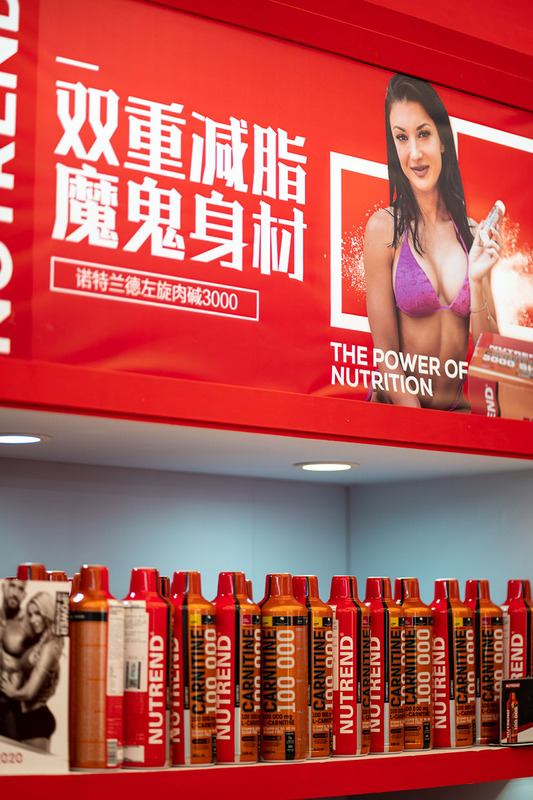 There were 6 big halls in IWF trade show, in each different kind of shows, from gym equipment, to gym clothes, swimming pools and finally in 5th hall supplement brands. 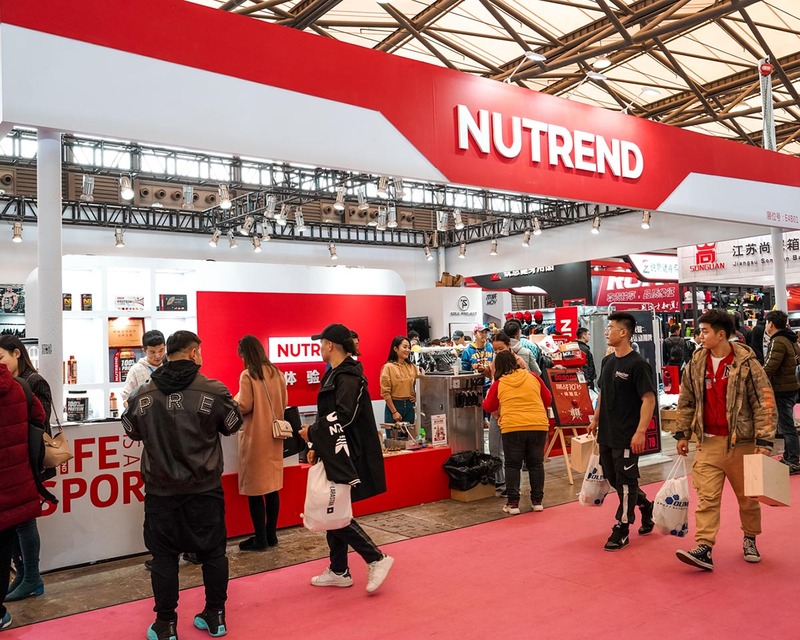 Nutrend booth was one of most visible from the beggining of the entrance of 5th hall. It was in shape S, with many products on shelves, lots of free samples and a big stage. Me, Ricardo and Benjamin were there taking pics with fans, which are by the way sooo friendly, they just can't get away with only 1 picture, they have to make 10 different ones-or it just didn't happen at all haha. We had organized also some giveaways with squat challenges, and other ones, like boxing that chinese guys organized. There were lots of people around our booth and I really believe almost all the samples already went out the first day. I think most crowded day was actually first day (thursday) and friday. Nutrend actually had two booths, this one for supplements, and in another hall one big booth for their clothes. There were also lots of people, and the most popular leggings and tanks went out on second day- all already gone. We ended at around 5 pm, and were so exhausted that we just went to hotel and chill in bath. Luka was capturing moments on booth and made some pics of first day there, so when we came to hotel, he needed couple of more hours to select the photos, edited them and post them on Nutrend instagram profile. Because of jet lag, we couldn't sleep until 3 am. Because of jet lag, I woke up at 6 am and went to hotel gym to do some light cardio for around 1 hour. After that, I came back to hotel room, woke up Luka and we got to the breakfast, which was by the way so delicious! Some chinese meals and also european as well. This day it took us less time to get to the expo and it was pretty much same as previous day; lots of people, lots of giveaways, taking pics etc. We had an amazing and productive day there! Luka was filming video clips to produce video on social media, so for all of you who couldn't be there, you could see how our days at expos look like. That's why Luka tries to capture all the moments for you and also for us as a memory of great days. and the last day of amazing huge expo in China. Because Luka wanted to post a video on this day, he was actually sitting in a Cafe for 10 hours, next to our booth. I think he did an awesome job, and you can see this video on Nutrend IG profile (@nutrendbodybuilding). As for me, Ricardo and Benjamin, we were throwing away last samples to the people, from our stage, and chinese people were almost fighting for who gets more spf them. They were really crazy about that, and was so much fun to see how people get happy so easily there! We ended a bit earlier that day, because I was invited to do a photoshoot in some gym called Atlas, which was one hour drive away from the expo. I was actually pretty tired and I didn't know we would have a photoshoot at that day, so I didn't have any makeup or chothes with me, but we managed to do some nice pictures with Nutrend products there. After 4 hours of shooting, we went back to hotel and I just dropped in bed and felt asleep. When we finished with our work at IWF, we had free day in Shanghai. First we wanted to visit Disneyland, but because of the bad weather that day, we decited not to go, and go to shopping instead. Luka found one biiiig shopping center – two buildings with 6 floor each, with only camera equipments. Man, was he in heaven! I found some gym clothes near by as well, so we both went happy from Shanghai to airport back home! Thank you Nutrend China for everything you did for us, and Nutrend for believing in our work! Together we are stronger.